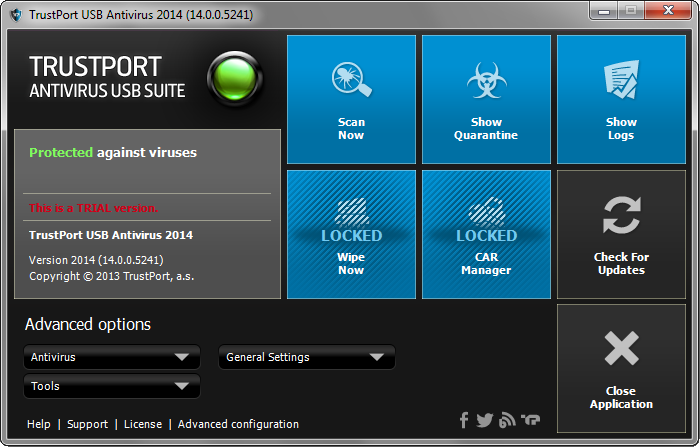 I want to give away 3 licenses (1 year) for TrustPort Antivirus USB Edition 2014. 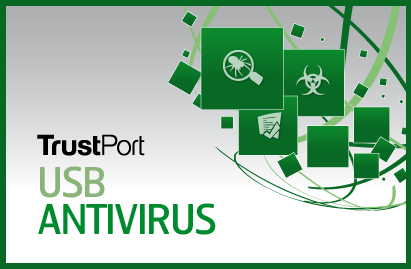 TrustPort Antivirus USB Edition is an all-in-one security software solution designed to provide dedicated tools to scan the local system and other computers in the network. While it can only be installed on a USB Flash drive, TrustPort Antivirus USB Edition needs just a small amount of disk space, with a minimum footprint on computer resources. The application boasts all the features one expects from a powerful antivirus product, including real time protection, on demand scans, virus definition updates plus a number of other tools to enhance the level of security. The winners will be pronounced at the end of the month. Thanks for the awesome chance! My email is kshahmir94@gmail.com and I'd LOVE to win. venhiem@gmail.com thanks for the app. К сожалению мой пост с темой на http://malwaretips.com удалили . Хочу участвовать. Unfortunately my post with the theme on http://malwaretips.com removed. Wish to participate.